Stone farmhouse immersed among the hills of Pesaro, renovation works lasted for 16 months. The overview from the porch is breathless: the sea in the distance and the green hills lend a peaceful and quiet feeling. Indoors the house is minimal and modern, including design features. Outdoors there is a wood oven and a large swimming pool with a free though pleasant shape. Restoration and renovation works for an apartment building of the Eighteenth century in Palace in Arcevia. This is an apartment building with courtyard and annexed small church designed in the Eighteenth century. The real estate showed itself evidence of decay, even though the structure of the building was solid. The indoor separation of rooms was respected since the assignment was already aptly defined. 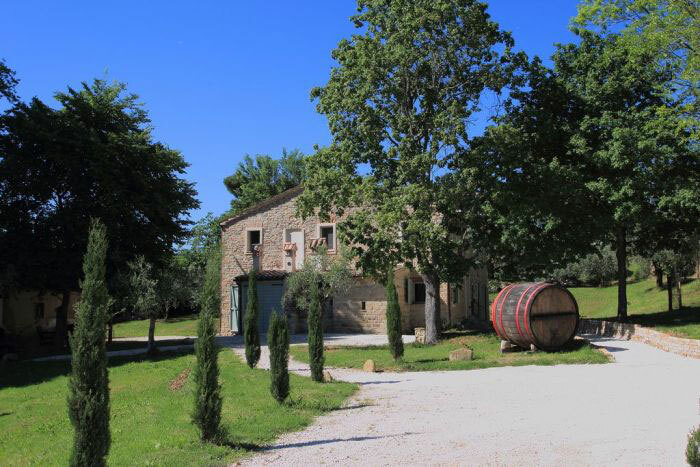 This stunning stone farmhouse upon the hills of Apiro is located in the Province of Macerata. During the restoration works, large openings and ceilings were kept, combined together in front of the large fireplace, a feature that spreads a warmth feeling to the house. Furnished with taste and love for arts, the property also has a deep and square-shaped swimming pool. Stone farmhouse in Mombaroccio, nestled in the hills of Pesaro. The restoration lasted 16 months. The panorama visible from the portico leaves you breathless: the sea in the distance and the green hills give a sense of peace and tranquility. The interior is minimal and modern, with design elements. The exterior boasts a wood-burning oven and a large, free form and harmonious pool. The original house was demolished, then re-built a bit more distant from the road. Its structure is earthquake proof in blocks and covered in stone recovered from the old demolished house. The farmhouse Avenale in Cingoli, including a solar photovoltaic system, has three bedrooms, a study room and four bathrooms. The main feature is an outbuilding for guests, a swimming pool with overview and a tank for rainwaters to be used for irrigation of the surrounding garden. The house is projected and classified as Energy Class “A”, no-gas class. The building was built during the late Eighteenth century and used to be a hotel for several years. The restoration works created apartments but kept the features of the slab with beams and lintels, now in iron. The garden, that surrounds the historical house in the oldtown of Jesi on three sides, was built on more levels and connects bedrooms with living room of the apartment; on the fourth side, there is a view over the roofs of the city and there is a rich rose grove and orange trees. The block of flats share a garage area with lift for all the apartments that connects them also to the above Piazza della Repubblica, the heart of the city of Jesi. The farmhouse of Deer is located in Ostra, in the Province of Ancona and from the swimming pool, upon a hill behind the building, you can overlook the village from above. During the renovation works pastel colors were chosen to fit the color of the resin flooring, which is suitable in case of underfloor heating system. The house is in stone insulated framework, rebuilt in accordance to regulations in force to be earthquake proof, its surface covered by ancient bricks. Another important detail is the wine cellar with temperature control system. The building was in very bad conditions because for over thirty years it was abandoned. It was rebuilt using original materials in its old shape and position, just like the adjacent outbuilding that is now used as garage. The facade is completed by a large porch leading to the dining room featuring a fireplace with natural ventilation. 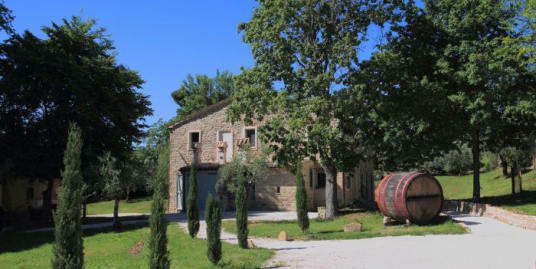 Farmhouse Spada in Filottrano is equipped with an underfloor heating system and solar thermal system. The whole building was in bad conditions so it was demolished and then rebuilt, re-using the bricks for the external surface of the new earthquake proof building. The house in Morro d’Alba has kept the original number of rooms, with its large and plain areas. The total surface is averagely 350 square meters over two floors. On the ground floor: two large sitting rooms, kitchen and dinette. On the first floor: a large suite of 80 square meters and three double bedrooms. A circular stairway connects the two floors. There’s also an outbuilding for guests, with a double bedroom, bathroom and storage room. The building is located in Morro d’Alba. The original house had serious damages so it was demolished and then completely rebuilt, using the original materials. Fonte del Re in Morro d’Alba was supposed to become an accommodation facility (Bed&Breakfast), and there’s also a private apartment. In the outbuilding there’s an apartment, steam room and facility rooms for the swimming pool. Oudoors there is a barbecue oven. The property includes an infinity pool 20 meters large, underground garage of 100 square meters and a park over 7500 square meters on three levels, so that guests have a separate area from the private vegetable garden. 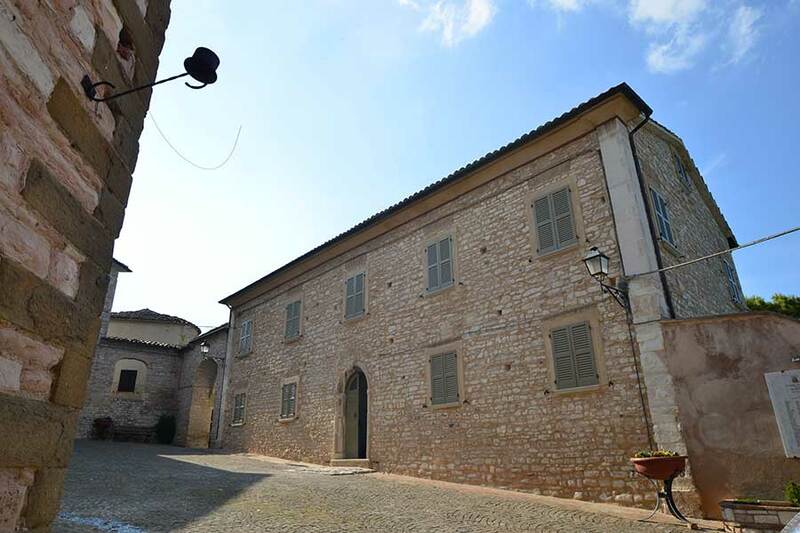 Built at the end of the Nineteenth century nearby the town, this farmhouse Fonte of Castelplanio upon the so-called Castles of Jesi is completely erected using sandstones. The main building was renovated and brought back to its original shape and now its surface is averagely 300 square meters. On the ground floor there are the sitting room and kitchen, on the two large rooms that once were barns. On the first floor there are now four bedrooms, three bathrooms and a small storage room. The plot of surrounding land on more levels is used as entrance road with a carpark and also a swimming pool. 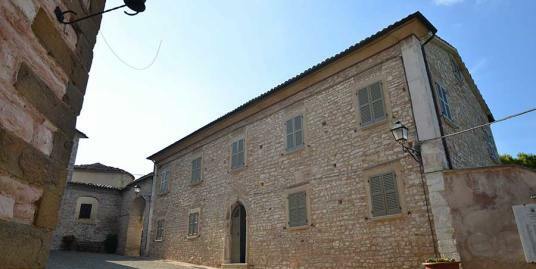 This farmhouse at sea is a traditional and typical rural building of the region Marche. It is located upon a hill by the Adriatic sea where you can enjoy a stunning view over the landscape. It is surrounded by almost two hectares of park with a small lake used for the irrigation of the grassland, a swimming pool heated by a solar thermal system. The building is on two floors and covers a surface of 350 square meters, there are 4 bedrooms with four bathrooms, a study room, a sitting room with fireplace, a large kitchen and a beautiful entrance hall. The heating system is provided by a solar photovoltaic system installed upon the carport used for parking six cars. There’s no gas system, so it is highly eco-friendly.